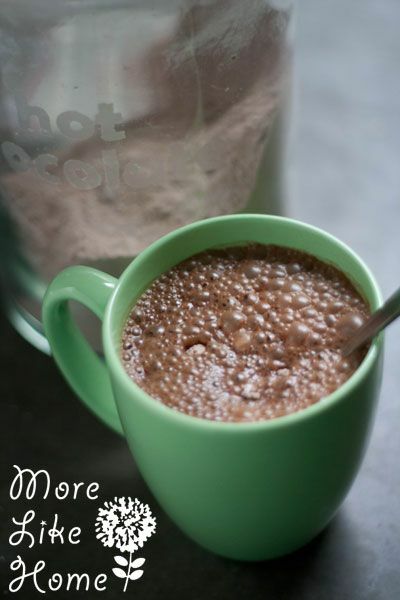 We haven't bought hot chocolate mix in over year since we started making it ourselves. It's great because you can adjust the amounts and add different things to find what you like and you know exactly what is going into it. Last year we shared our favorite recipe and included a printable recipe card but with Christmas right around the corner I wanted to share a printable label that's a little more giftable. 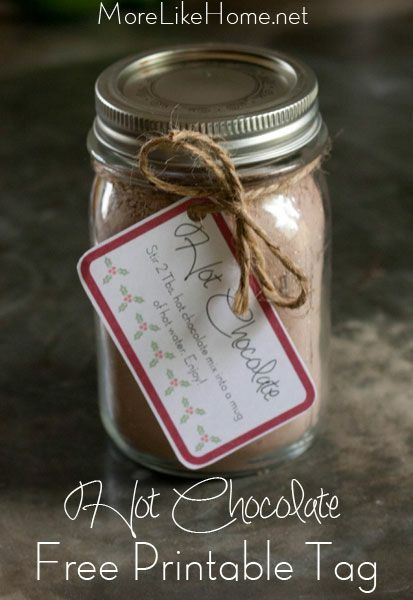 Just print out the tags on paper or cardstock, cut them out, and attach them to jars of hot chocolate mix some twine or string. You can punch a hole in the tags and tie them on like the pic above, or tape them right onto the jar like the pic below. Download and Print the tags here. 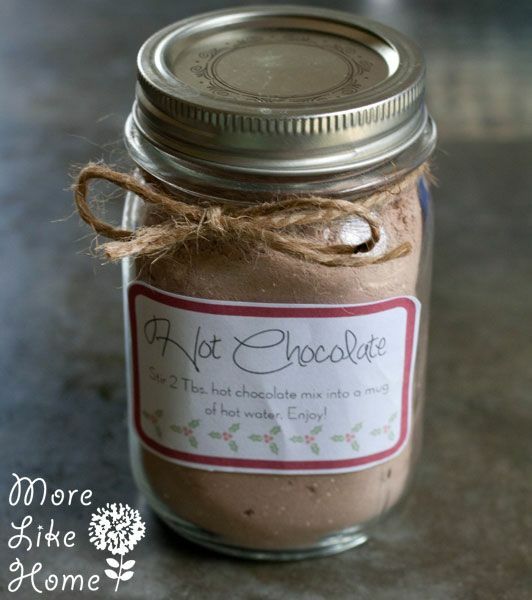 This hot chocolate mix is so easy to make! 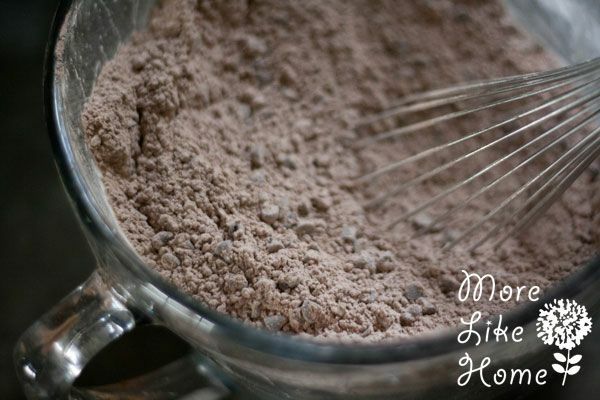 Just combine the ingredients in a large bowl until thoroughly mixed, then divvy it up into smaller jars. You'll probably want to make a jar for yourself while you're at it. There's nothing like a toasty mug of hot chocolate on a snowy day! 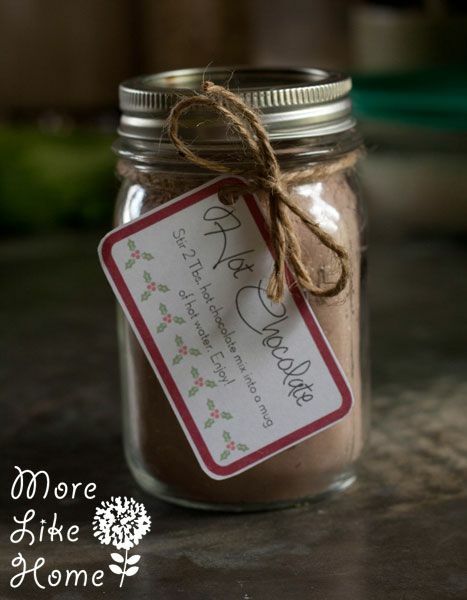 Individual jars like this make a great, easy gift for friends, co-workers, neighbors, even your Sunday school class! For more homemade gift ideas check out my 31 Handmade Gifts series. Do you like to give food gifts? Share your favorite recipes in the comments!